When 6th September started, I went to National Taiwan University studying in Department of Veterinary Medicine. The nice environment of the University and the dormitory makes me feel comfortable to study here. The learning atmosphere of University is totally different from secondary school, neither fixed time of working nor teacher urging you to study. Since liberal studies and electives are free to choose, so I can freely allocate my own time to my need. Facing new learning environment, I am so excited and worried at the same time. Especially in the anatomy lesson and internship lesson, including the structure of bones, muscles, joint, ligament and organ. All of us are very interested in these but we are afraid in those proper vocabularies. 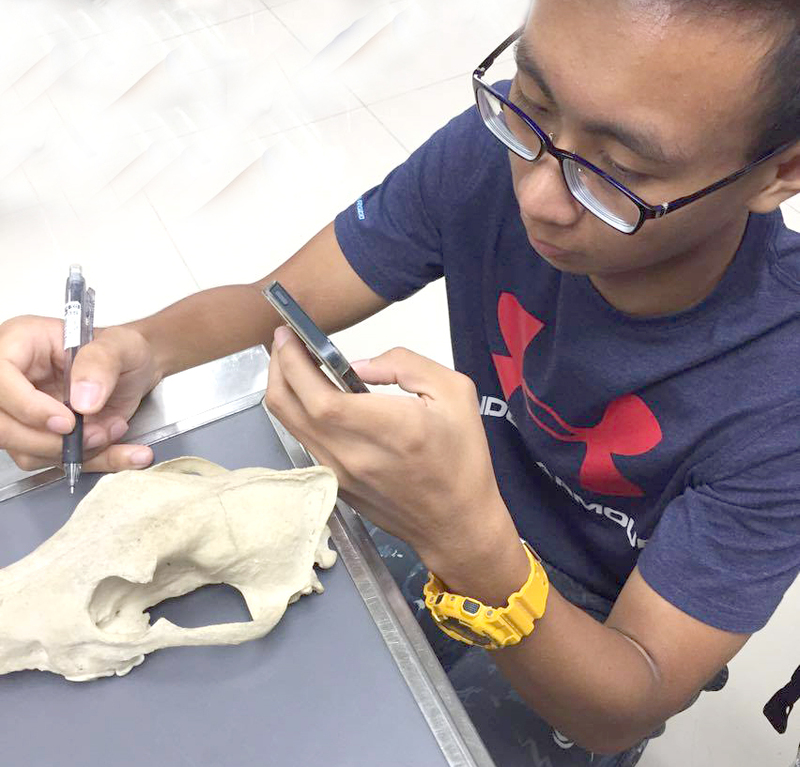 Classmates also remind us, if we want to be a Veterinary, anatomy must be studied well. We will stay in the hall and hoping to recognize those names of different parts of each bone as soon as possible. When I first arrived in Taiwan, the first thing I noticed was that the buildings were much shorter than those in Hong Kong, so the scenery was great. School started one week after I arrived in Taiwan. In the beginning, my biggest concern was getting lost in the university since NTU was so big. In this semester, I have taken the Japanese language course since I was interested in Japanese culture such as comics and animes. I have to study 4 complementary courses in this semester, the one I found the most challenging was anatomy. I have to memorize a lot of Latin words and have to be able to recognize where they were in the animal body. I was quite shocked after the first lesson. The most memorable thing in September was the suspension of classes for two days due to the typhoon. I have never had a class suspension in university before. The wind and rain were so strong that I have never experienced in Hong Kong. I was lucky that I didn’t have to attend classes under that situation.